Do not purchase a property without a analytic report and forecast. As an investor, owner, and/or lender, you need data to evaluate a property correctly. We do all the hard work for you, and guarantee you results. 100% Refund if not satisified. 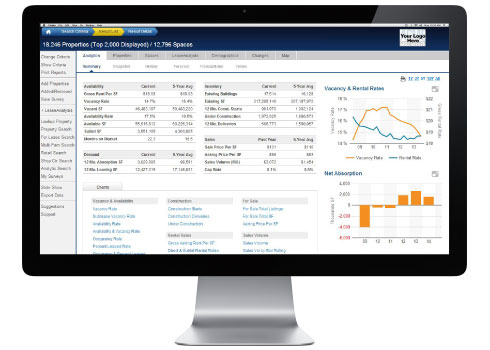 Market Analytics allows you to leverage the power of researched and verified commercial real estate information in an instant. Plus, forward looking intelligence from our 90+ team of economists gives you a complete picture of current market fundamentals, economic factors and asset pricing. Access property level data, including vacancy, rents, sales comps, tenants, and more, for any multifamily, office, industrial, or retail property. 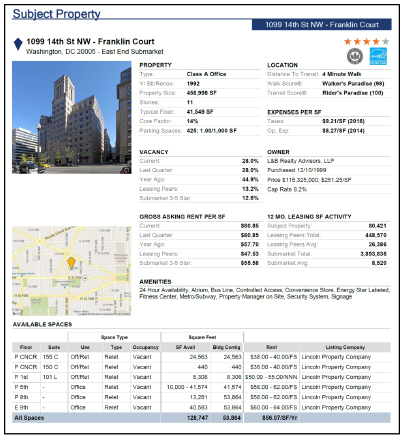 Generate a comprehensive report for any multifamily or office (New!) asset of your choice in seconds. With high-quality images, peer property analytics, and other features, you’ll be able to underwrite a property from behind your desk. Our economists develop quantitatively-rigorous models which are then reviewed by our local analysts. 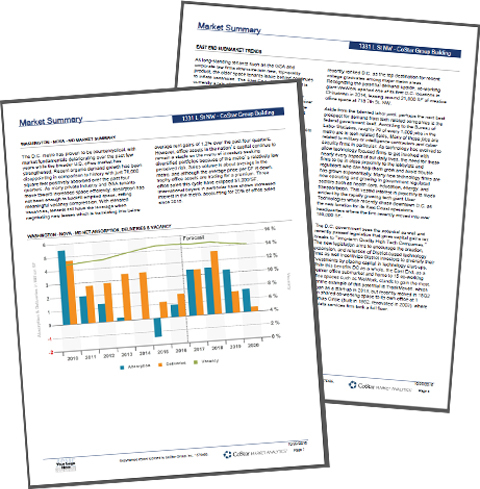 We forecast supply, demand, vacancy, and rent at the submarket level, and job growth and asset pricing at the market level. Our market analysts provide written commentary on fundamentals and local trends to help you enter new markets or get a different perspective on markets you already know. We cover 400 markets and 900 submarket. 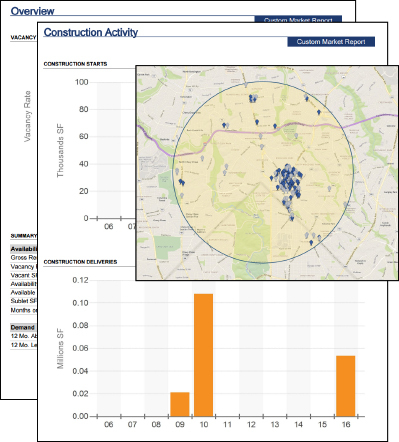 Build custom analytics for any property set you want based on geography, building class and/or many other criteria. 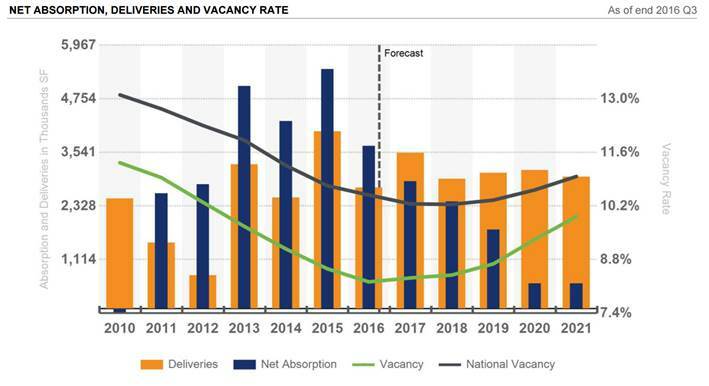 This report aggregates vacancy, absorption, availabilities, rents, sales activity, and more.